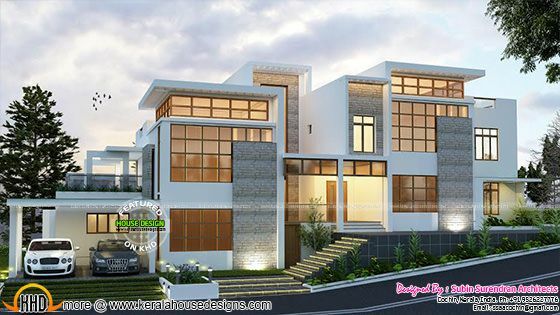 4000 Square Feet (372 Square Meter) (444 Square Yards) modern contemporary luxury home in an uneven plot in hill area. Design provided by Subin Surendran Architects & Planners, Cochin, Kerala. Ground floor : 2185.94 sq.ft. First floor : 1814.44 sq.ft. Total area : 4000.38 sq.ft. 0 comments on "Home design for uneven high plot"